Listening to your users is just the tip of the iceberg — to really understand the impact and reach of their feedback it’s time to tie customer conversations to the other relevant data you collect about your users. We’re excited to introduce the Segment + ScopeAI integration! Segment is a platform that centralizes your user data so that it can be more easily accessed and processed by hundreds of other tools. Through a simple integration with Segment, ScopeAI will now be able to connect all types of user data including churn, account value, time spent on platform with your customer conversations and more. Did any users churn over this feedback? Was it paying or non-paying customers that reached out? How long have users that reached out been customers? Were the users who shared this feedback highly engaged? Understand the full impact of user requests and issues by having all of your data connected in one place. No developer time? No problem. Segment is a plug-and-play solution for helping companies connect their data to different platforms. Simply sign into Segment, find ScopeAI integration and sync the data that you’d like to connect to customer conversations. And thanks to the ScopeAI x Segment integration, all customer data will flow in real time over to your account. Get started right away or find out more information here! 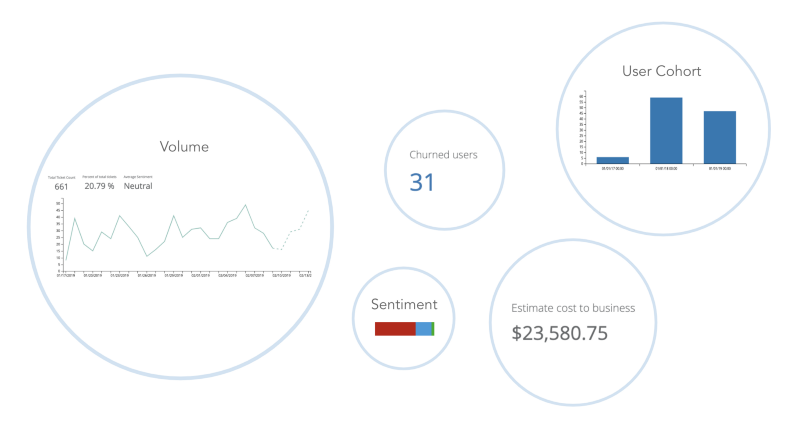 Connect your customer conversations to user data to get the full picture of user feedback.